After a long day at work, home alone and not one inch of me wanting to shop or order take out resulted in this dish. Which I can say was easy, delicious and pretty, so naturally I fell in love and now make it all the time. The best part of this dish is that it can be different every time. 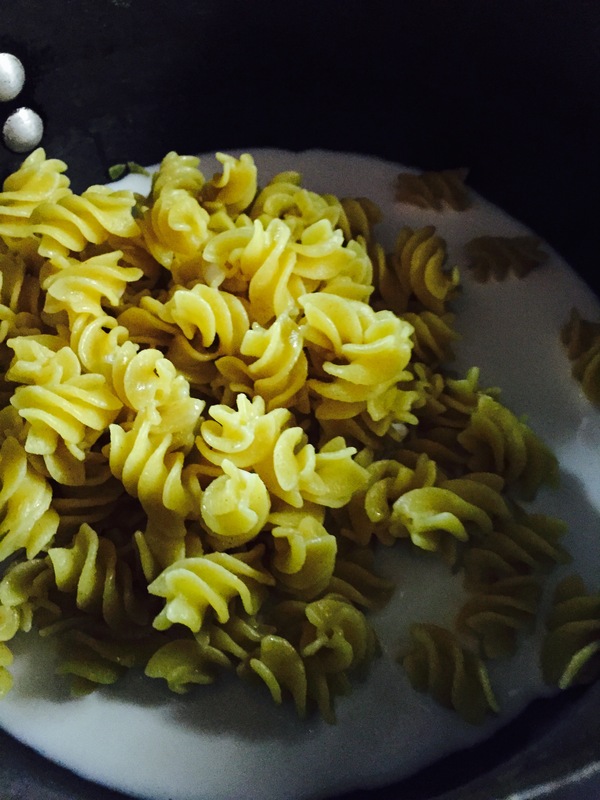 Keeping a box of pasta in your pantry at all times is a must for this reason! Then add in any veggies or protein you have for a quick satisfying bite. 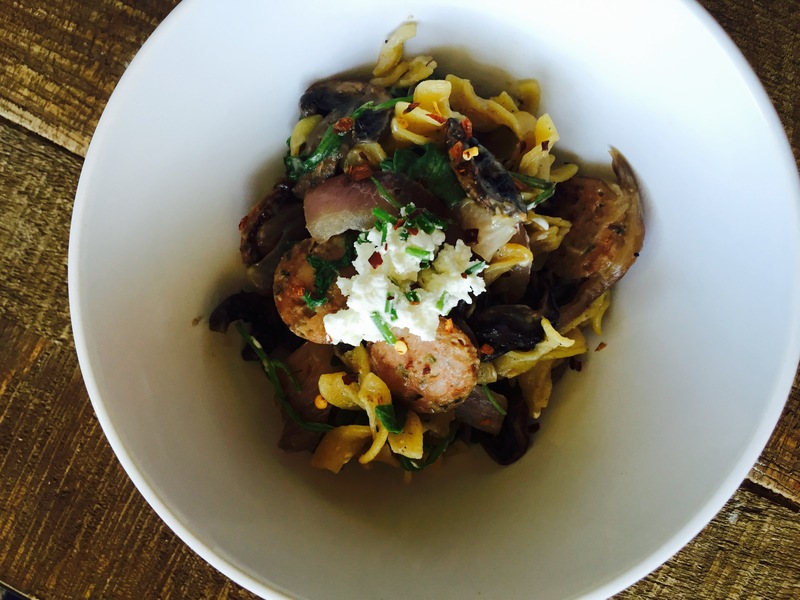 In lieu of “National Pasta Day” we decided to share one of our favorite recipes from Kenwood Vineyards “Perfect Pairings” recipe book. 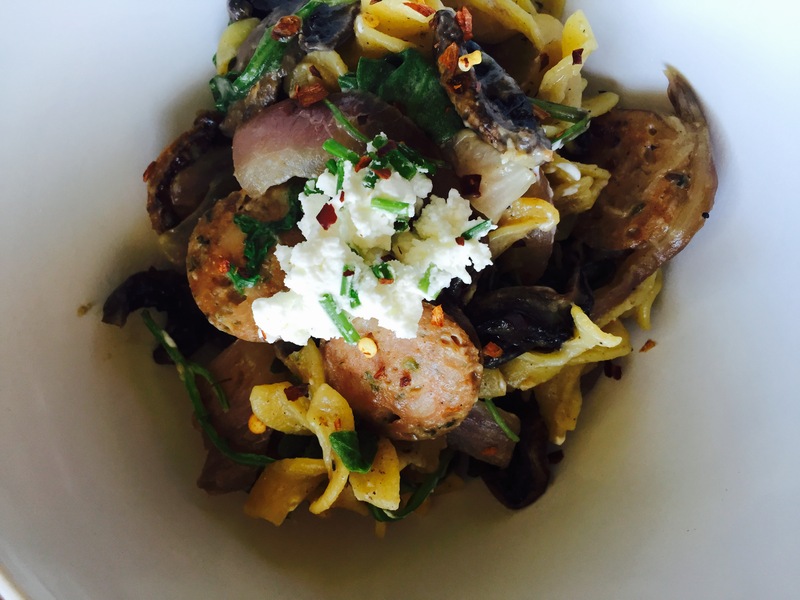 Created by their team of Executive Chefs, this dish is perfect for the cooler weather ahead and pairs exceptionally well with Pinot Noir. * Shitakes, oysters, or hen of the woods, trimmed and torn or cut up. 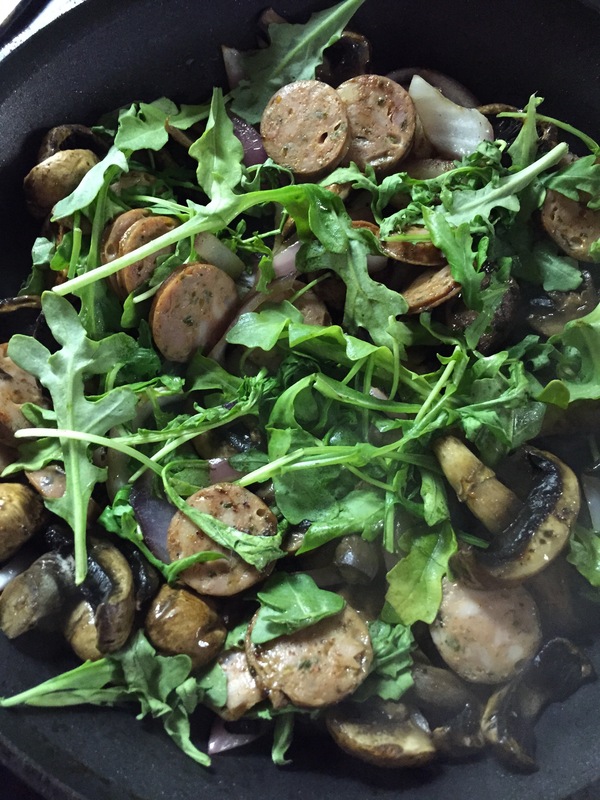 In a large skillet, heat oil over medium high heat; add sausage, onion and garlic, breaking sausage up with spoon while cooking until onions are golden, about 7 minutes. If sausage is fatty, drain excess drippings from pan. Add mushrooms, thyme, and chilies; cook, stirring frequently until mushrooms release their liquid and it evaporates, about 10-12 minutes. Remove from heat, season with salt and pepper. Meanwhile, cook pasta to al dente in a large pot. Drain, saving ½ cup of cooking liquid. Return pasta to pot. Add butter to mushroom mixture, along with a little of the cooking liquid from the pasta to loosen and deglaze. Pour mushroom mixture, parsley and parmesan cheese into pot with pasta and toss to combine. Turn out onto large platter to serve. May be garnished with more parsley and cheese. Love pasta? Love wine? Don’t forget to enter the “Perfect Pasta Pairing” contest for a chance to win a trip for two to beautiful Sonoma County valued at $5,000. Tweet us at @ApronsStilettos and share with us your favorite pasta recipe for #NationalPastaDay!